The initiative of people from the small town Trancoso, located in the North of Portugal, became a declaration of love to the national poet Luis de Camoens. 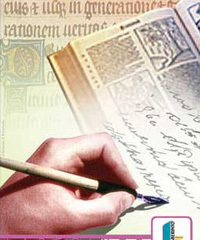 They began to rewrite his epic work “The Lusiads” by hand which consists of 1102 strophes and almost 55 thousand words. The fourth canto of the poem was written the first. It tells about the triumphant fight of the Portuguese for the national independence with the Castilian conquers and the beginning of the epoch of the Great geographical discoveries. 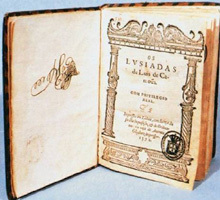 The very title “The Lusiads” means “the Portuguese” as it traced back to the name of the Lusa tribe which inhabited the territory of the contemporary country. In copying of the fourth canto there took part one hundred people of Trancoso. Each of them could rewrite only one strophe. Though every person has its own handwriting, the book is read with ease. It is obvious that the copyists tried to do their best, putting all their love into every letter. With these words Camoens begins his story about the difficult history with which his motherland had to face, giving the detailed description of the Vasco da Gama’s voyage to India. The well-known politicians and public men will be offered to copy the first canto. As the inspire of the project, the Head of Municipal Enterprise Santus Costa says “to rewrite “The Lusiads” is an important cultural and social action. Thanks to our initiative many people will be able to “touch” this cultural symbol of our country which reveals both tragic and happy moments of our history, and, what is the most important, helps to cherish our native language”. Appearance of the unique edition – almost the most original for the last four centuries of its existence - will become the result of the action. “There will be gathered myriads of handwritings and characters of different people”, - said Santus Costa. “And it is wonderful, - he added. – People rewrite the great work of literature by hand as Camoens did it in the XVIth century.” The hand-written poem will be kept in the Municipal Library in Trancoso. And its copy will be sent to the capital National Library. P.S. We are glad to inform that the Union of Calligraphers has launched a grandiose project: this will be a written Constitution of the Russian Federation. The first in the modern history variant of a written Constitution of Russia is going to be displayed at the International Calligraphic Exhibition in St.Petersburg from September 16 to 21.